In the top right corner of the document, click on the eye icon to open the view filters popup. 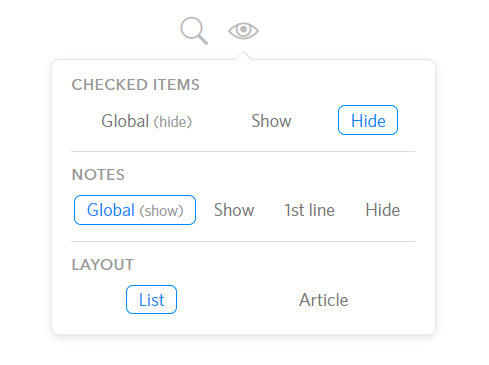 Select "Hide" to always hide checked items in the current document. Click the gear icon on the top right corner of the app to open settings. Under the Preference tab, you can find an option called "Show checked items" under "Appearance". Uncheck it to hide checked items by default. You can override this setting on a per-document basis using the method mentioned in the previous section.